UPitt Scaife Hall Earns AIA Pittsburgh Design Award! We are pleased to announce our Scaife Hall Renovation and Addition at University of Pittsburgh (in association with Moshier Studio) received an AIA Pittsburgh Design Merit Award! The program honors projects throughout the region that exemplify excellence in various areas of design. 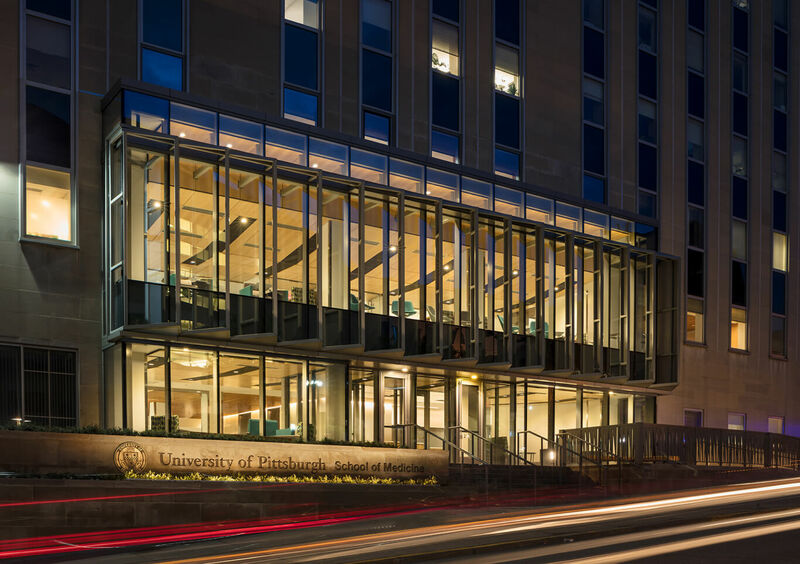 The two-story student lounge creates a new front entry for the University of Pittsburgh School of Medicine and responds to the historic bones of the 1956 Scaife Hall Building. A custom aluminum sunshade with a toothed edge acts as a veil surrounding the glass box. Cantilevered off the existing structure, the sunshade provides critical solar shading for the western afternoon sun. The vertical aluminum sunshades and railing details relate to the cadence of the historic limestone fenestration. The internal transformation began with removal of the original escalators traversing five floors of the building. The original 1950s drawings had an alternate for an open stair in lieu of escalators, a design executed sixty year later, replacing the escalators with an open staircase that promotes wellness and reduces energy and maintenance costs. The overall renovation and addition achieved a 32% energy cost savings. 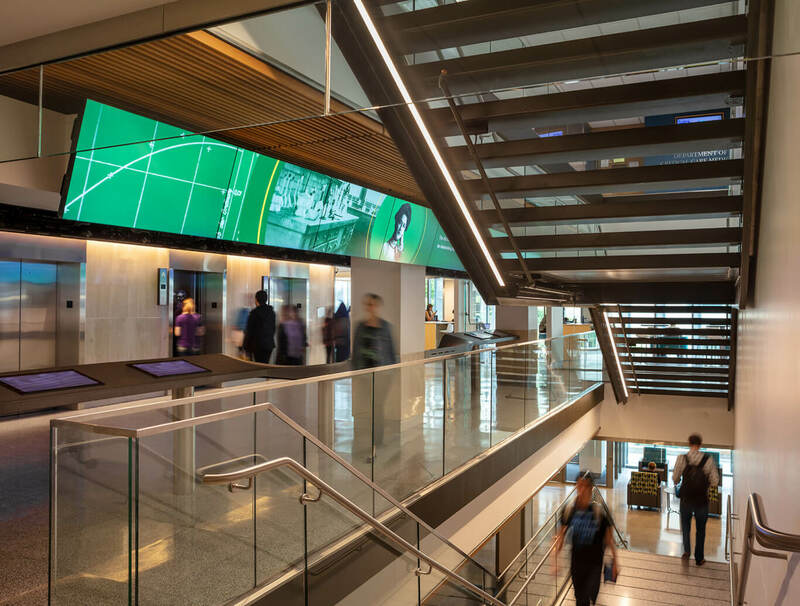 A variety of interior spaces were renovated including an interactive multi-media display, the new student lounge and cafe, and the renovated admissions office. The renovation of the building transforms the edifice into a welcoming, inviting and open environment.